Download iRich App and Accumulate iRich Points & Redeem Gifts! The voucher is valid for 6 months commencing the date redeemed; expired vouchers will not be refunded. 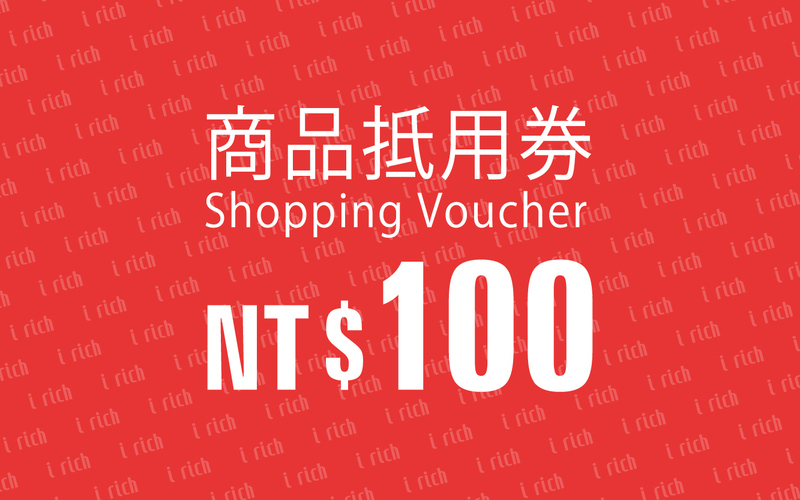 The amount of purchase by the use of vouchers is not eligible for the accumulation of iRich Points. Per transaction is limited to the use of one $100 voucher only. The voucher will not be changed for cash. 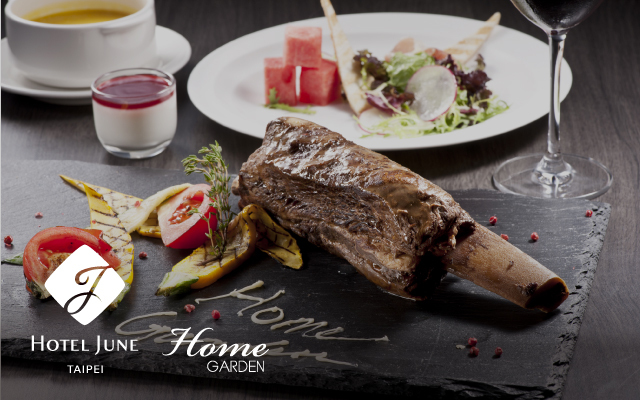 This voucher can be used at: Ever Rich's Taipei Downtown Store, Neihu – Home Garden, Hotel June - Home Garden, Bistro :D, hómee KITCHEN, hómee CAFÉ, hómee SNACK BAR, Vivi Café and illy. 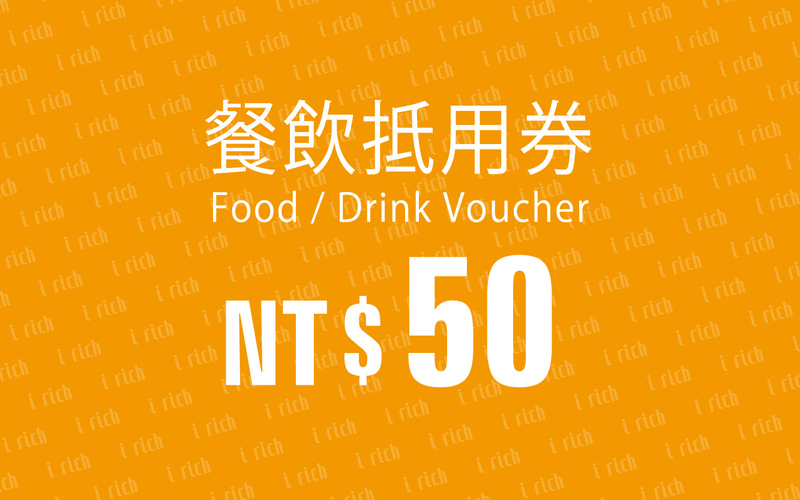 This voucher cannot be used at/on: SUNMAI BAR, Gontran Cherrier Bakery Taipei, Xiao Nan Men, Wenzhou Big Wonton, Casamila CAFÉ, Lou Zhang Muslim Beef Restaurant, KiKi noodle bar, LIN DONG FANG BEEF NOODLES, Hung's Delicacies, Tai cheong bakery, McDonald's, Jamba Juice, buonopops, Big Steve's Hamburgers, Dim Sum Master, and Akasaka Ramen. Please refer to on-site notice for more information. This voucher can not be used in conjunction with other coupons, promotions or special offers. The amount deducted by the use of vouchers will not be listed on the invoice/receipt; the voucher cannot be changed or exchanged for cash. Standard Form Contract for Gift Certificates and its terms and conditions may not apply. The voucher is non-refundable once redeemed. Any fraudulence will be pursued in accordance with the laws of Taiwan's. Ever Rich Duty Free Shop reserves the right to modify this offer and the interpretation of these Terms and Conditions. 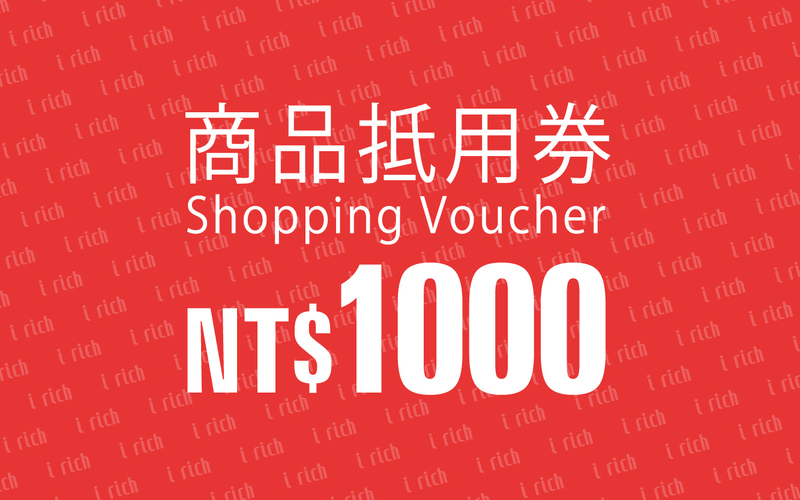 The voucher can be used at: Ever Rich Taoyuan Int'l Airport Store, Taipei Songshan Airport Store, Taichung Int'l Airport Store, Kaohsiung Int'l Airport Store, Hualien Airport Store, Keelung Harbor Store, Shuitou Pier Store, Taipei Downtown Store, Neihu, Taipei Downtown Store, Minquan, Golden Lake Plaza 1F~4F. The use of these vouchers can deduct maximum 10% of the total amount of purchase. Full-amount deduction will not be admitted. This voucher cannot be used at/on: Cartier, Hermes, Tiffany, Rolex, Tudor, Channel, fragrance, cosmetics, gold, tobacco, cigars, drugs, Ferrero Rocher set (4 pcs), Apple, products at FUNBOX's counters and Tomod's counters, products on sale or with a discount, in89 Deluxe Digital Cinema, and Ambassador Theatres. Please refer to on-site notice for other ineligible products and counters. 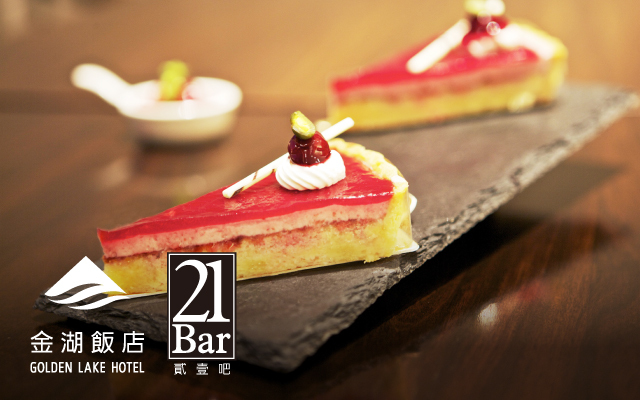 This voucher can be redeemed for 21Bar Afternoon Tea Set x2. The voucher is valid for 6 months commencing the date redeemed. 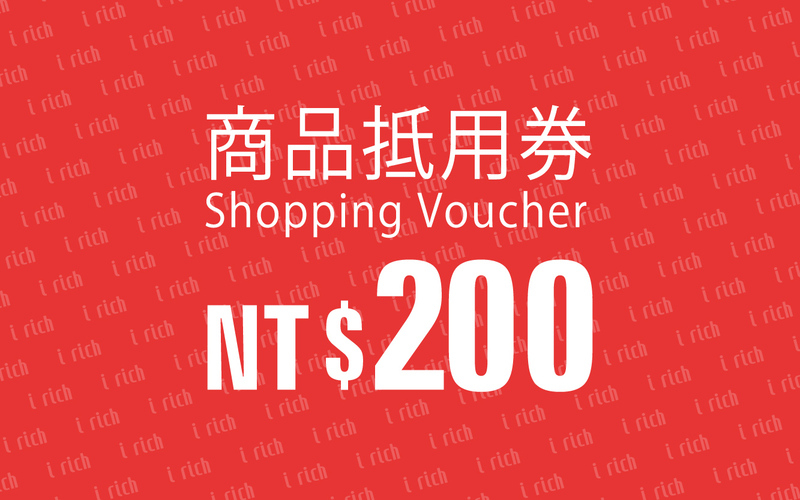 Please read the terms and conditions on the voucher; expired vouchers will not be refunded for iRich points or cashback. This voucher is non-refundable once redeemed. Any fraudulence will be pursued in accordance with the laws of Taiwan's. Golden Lake Hotel reserves the right to modify this offer and the interpretation of these Terms and Conditions. 1. 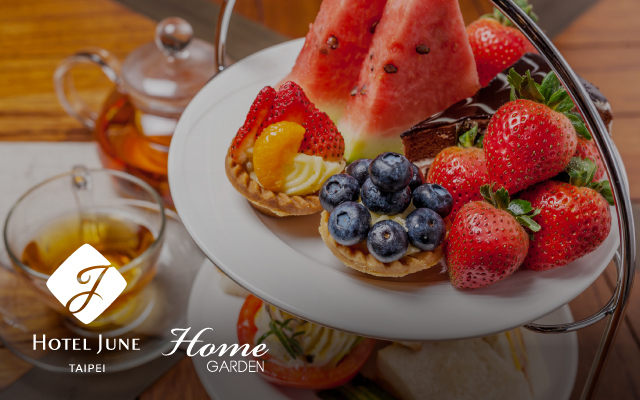 This voucher can be redeemed for Home Garden Afternoon Tea Set x2. 2. The voucher is valid for 6 months commencing the date redeemed. 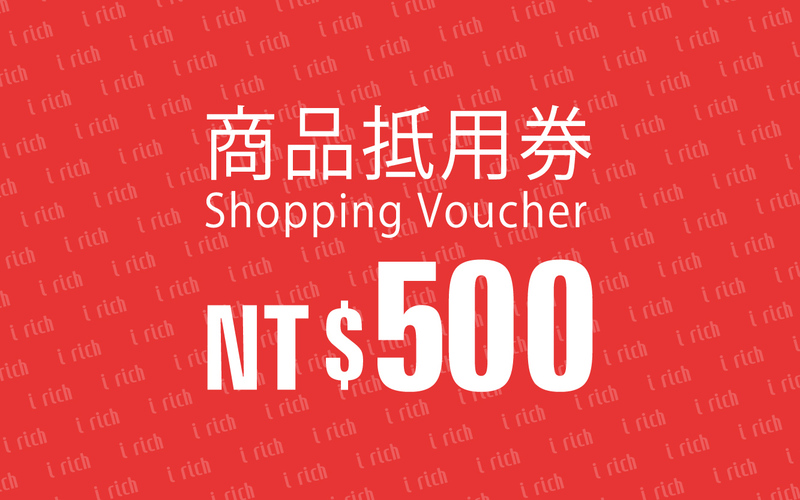 Please read the terms and conditions on the voucher; expired vouchers will not be refunded for iRich points or cashback. 3. This voucher can not be used in conjunction with other coupons, promotions or special offers. 4. 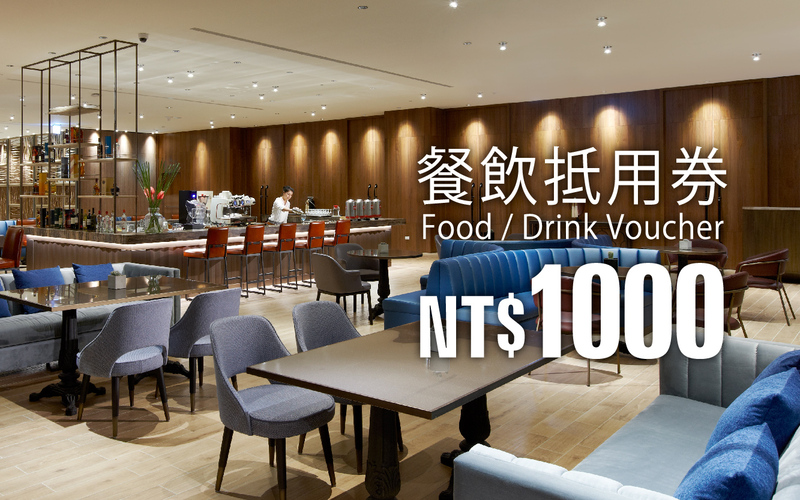 The voucher can be used on weekdays and the weekend; excluding Valentine's Day, Father's Day, Mother's Day, Halloween, Christmas and the first 5 days of Chinese New Year. 5. Afternoon tea is offered from 14:30~17:00; other types of meals are offered from 11:30~14:00/17:30~21:00 (last order is before 20:30); Takeaway service is not offered. 6.This voucher is non-refundable once redeemed. Any fraudulence will be pursued in accordance with the laws of Taiwan's. June Hotel reserves the right to modify this offer and the interpretation of these Terms and Conditions. 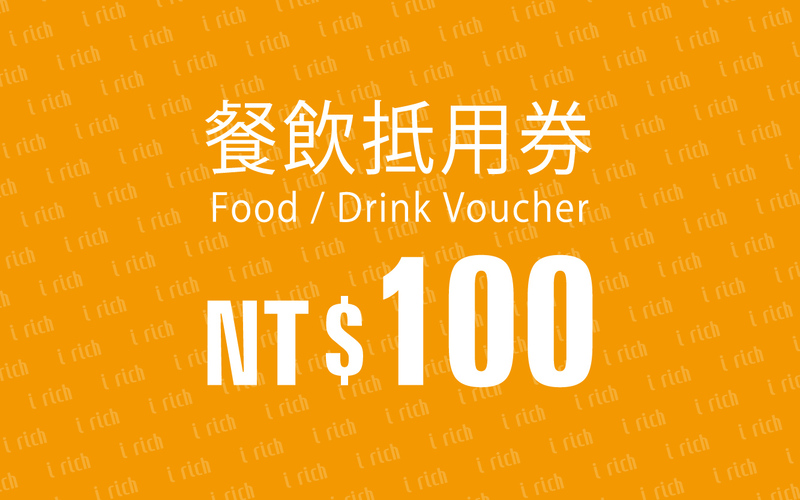 Per Food/Drink Voucher is valued at $1000. The insufficiency of less than $1000 purchase will not be changed. The voucher is valid for 6 months commencing the date redeemed. The voucher can be used at Discovery Hotel's Full Day Restaurant and Chenchen Lounge. Please use the voucher before its expiry date. This voucher is non-refundable once redeemed. Any fraudulence will be pursued in accordance with the laws of Taiwan's. Discovery Hotel reserves the right to modify this offer and the interpretation of these Terms and Conditions. This voucher can be redeemed for B.L. 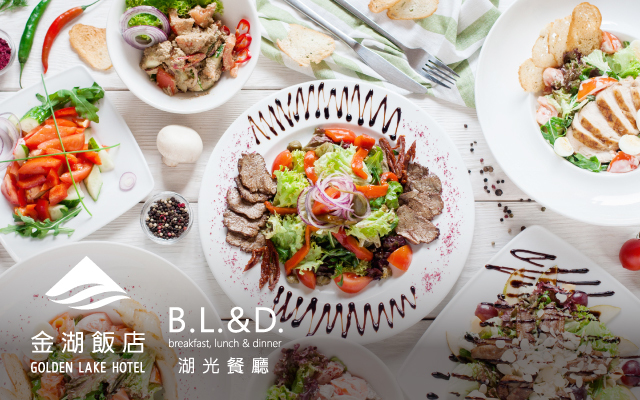 & D. Luxury Dinner Buffet (Weekend only) x2. 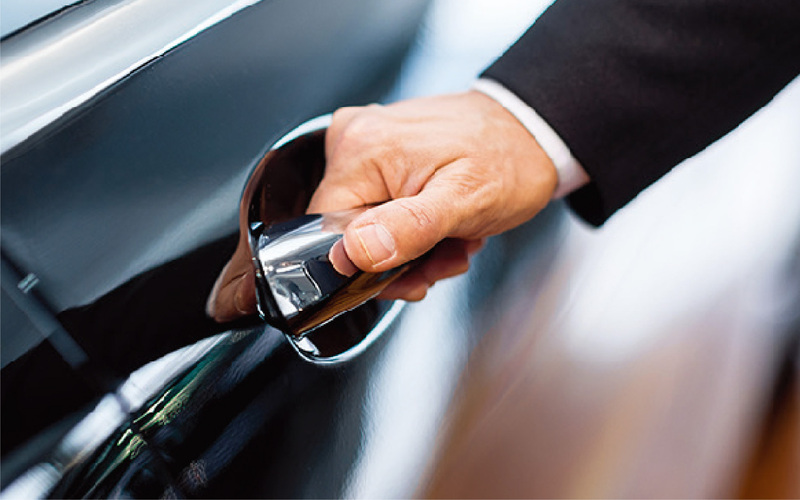 To use this drop-off/pick-up service, please book at least 3 days in advance by calling the iRich Club Member's Service Center.This service is limited to the card holder in person and a maximum of four companions. The designated airports are: Taipei Songshan, Taiwan Taoyuan International, Taichung International, and Kaohsiung International. This service includes single-point pickup/drop off only, no extra points allowed. The areas in Taipei City/New Taipei City served by the Taipei Songshan Airport and Taoyuan International Airport pickup/drop-off services are: Taipei City (except for Yangmingshan,) Xizhi (except for special and mountain areas,) Xindian (except for special and mountain areas), Banqiao, Yonghe, Zhonghe, Tucheng, Sanxia, Shulin, Yingge, Sanchong, Xinzhuang, Taishan, Linkou, Luzhou, and Wugu; the distance limit for the above areas is 50 kilometers; over this distance, a charge of NT$25/kilometer will be imposed; the price for areas not mentioned above or remote/mountain areas will be quoted according to the actual route. The districts in Taichung City served by the Taichung International Airport pickup/drop-off service are: Central, East, West, South, North, Xitun, Nantun, Beitun, Shalu, Longjing, Shengang, and Fengyuan districts; the price for areas not mentioned above or remote/mountain areas will be quoted according to the actual route. The districts in Kaohsiung City served by the Kaohsiung International Airport pickup/drop-off service are: Nanzi, Zuoying, Gushan, Sanmin, Yancheng, Qianjin, Xinxing, Lingya, Qianzhen, Qijin, and Xiaogang districts; the price for areas not mentioned above or remote/mountain areas will be quoted according to the actual route. This special price does not apply to excess distance, nighttime service (23:00~6:00), multiple stops, excess waiting, and special holiday surcharge; it does not apply to remote areas and mountain areas, for which there is an extra charge. Please ask the customer service staff for details of these extra charges. To cancel a booked service, call the iRich Club Member's Service Center before 17:00 the day before the booked service. Failure to cancel in time will be regarded as having used the service 1 time. ※ If all free/discount service times have been used up, iRich Club Member’s Service Center can book drop-off/pickup for members on a self-paying basis. For detailed use rules, please see Ever Rich's website announcements or enquire at the iRich Club Members Service Center.